We provide PACS Systems Analysis and Testing, PACS network planning and implementation, as well as PACS training and general support. We will Integrate your Information systems, perform HL7 or Worklist Modality Integration, making it a painless process. We also perform Data migration and Data Rescue and act as an Advocate for Vendor Disputes. Satellite Office or Imaging Center Additions and Small Clinic to Hospital Connections. 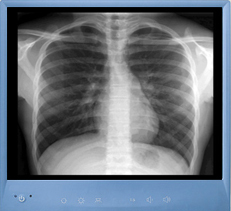 We also offer Inexpensive Solutions based on open-source packages including a complete PACS and EMR/EHR Solution. Whatever your issues or budget, Computer Holistics has the right fit for you! Meet our highly experienced staff!